For the girl, or guy, that wants the quintessentially cool polo shirt, without the branding… I introduce KP MacLane. Recently launched by husband and wife team, Jared and Katherine MacLane in early 2012, this duo understands luxury. They met while working for Hermes in Beverly Hills, and were deeply inspired by, not just luxury details, but luxury details that were functional. Katherine explained, “We have an obsession with perfected craftsmanship. We enjoy making products with a purpose, but at the highest level. When you can focus on quality, and incorporate the highest level of comfort, you create an amazing experience; an experience our customer can relive over and over again each time they put on our shirt”. I can back this statement up, as both the creative director of a fashion company that focuses on quality and as a consumer who has had the pleasure of wearing a KP MacLane shirt. What they do is very specific… one core shirt, in several colors, done extremely well. The quality and experience begins when you open the box. 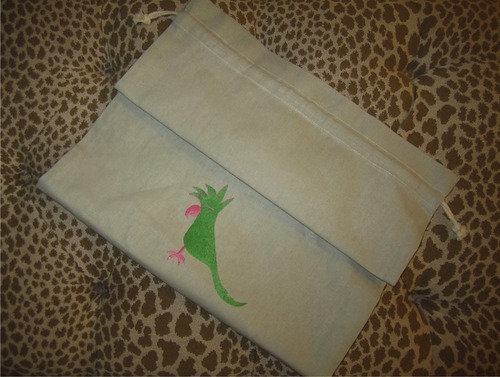 The shirt I received was delivered in a beautiful, drawstring linen bag, featuring a special hand-embroidered version of their signature green bird. Such an elegant touch, but there is so much more than the packaging. 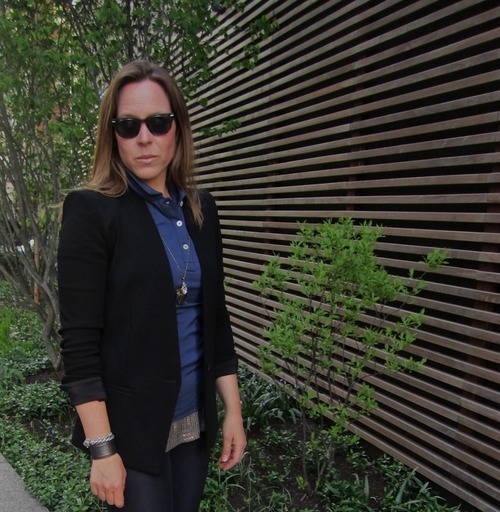 This versatile shirt can take you from day to night easily. Great worn with shorts or jeans in its most traditional way. Better yet, with a blazer thrown over, a sequin tank thrown under, a pair of stilettos and skinny pants. Grab a great bag and your fit for any cocktail party around town. Well, maybe not the guys, but don’t fret, there’s a men’s version too, for you all to style in your own unique way. And if neither party is feeling confident enough to modernize the way they wear this timeless piece, you can check out their How to Wear section for some fresh ideas. This is a shirt every individual needs to own. Made in New York of unbelievably soft French cotton and modal jersey, the KP MacLane women’s polo shirt combines a modern fit, self-collar, and longer body, for those of us looking for a more fashionable version. Katherine took the time to point out that the placket is perfectly proportioned, and the sleeve hits the most flattering part of the arm. The psychology behind the perfect fit! Something we would never be able to identify, but a sure fire reason we’ll pull the trigger on a particular item. The unique blend of fabric, with a hint of stretch, is created and custom dyed in France. The touch is oh so luxe! Spring is here, step up your wardrobe with an item that will stay with you for years to come. This article was originally written by Michelle Vale of “Make It In Manhattan” and was published on May 06, 2013.